It was a trip I had made since I was a kid. Heading north from Clarkesville, Georgia, my parents and I zoomed past Clayton and Mountain City, finally taking a right turn in Franklin, North Carolina, which told me that Cherokee wasn't far away. Back then, some 40 years ago, Cherokee was only a little strip with businesses flanking the squished two-lane highway, featuring Indians in huge colored head-dresses and standing beside them, 'real' bears with snarling mouths wide open. When I grew older, I realized those bears weren't real. Such a disappointment, but nevertheless, it made me look! The strip is still there, but it's an afterthought because before you reach it, there is Harrah's Casino. You reach the congestion before you ever reach the history. I understand economics, and "if you build it, they will come," but the small town charm seems a bit lost these days, as if the neon lights of the casino have caused the stars to disappear, just like the shops selling moccasins I bought when I was a child. I like change, I really do, but I also like consistency (when it matters) - with only a slight sprawl. So, I continue my travels, driving through and past Cherokee, and mid-way to my destination, I take a breather at Newfound Gap and then - just like yesterday, I enter the tree draped entrance to the hamlet of Gatlinburg where streets are lined with people, shops sell the best doughnuts around and at the very end, there's candied apples for the kid in all of us. Whatever you desire, you can find it in Gatlinburg. 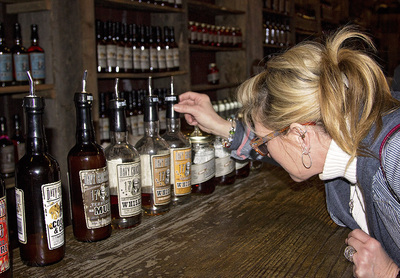 From adventure on the slopes to lounging in front of a fireplace to downing some of the South's best moonshine, you don't have to look any farther than the downtown parkway. Let's start on the mountain, shall we? There's magic on the mountain . . . Even school field trips catch a ride. 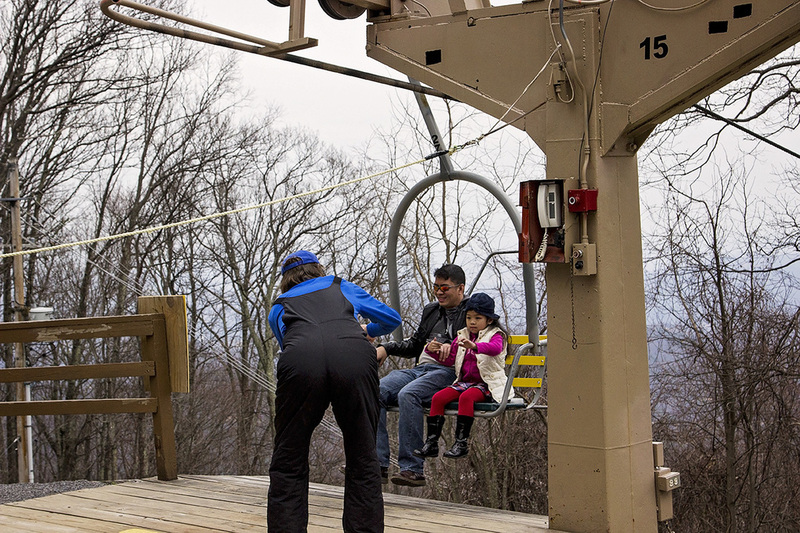 Head to the top and visit Ober Gatlinburg. Sure there's snow - even if there's none other places in the area, but there's so much more. It's not just a winter destination, but one that offers breathtaking views year round. 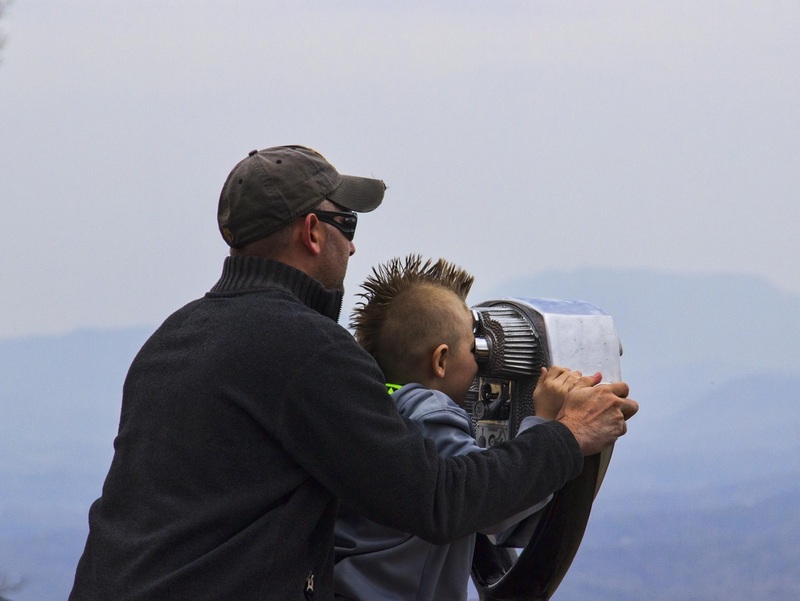 Take the twenty-minute ride on the Aerial Tramway (adults, $12; child, $9.50) and you're get some of the best views of the Smoky Mountains. 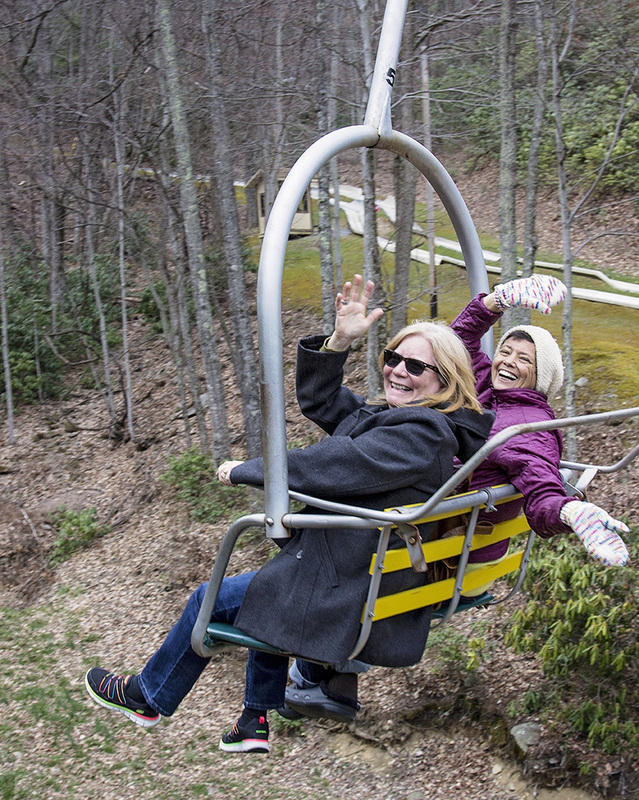 There's also the Scenic Chairlift ($7) that will allow your legs to kick all the way to the top of Mount Harrison and enjoy views of the Smokies at 3,600 feet elevation. 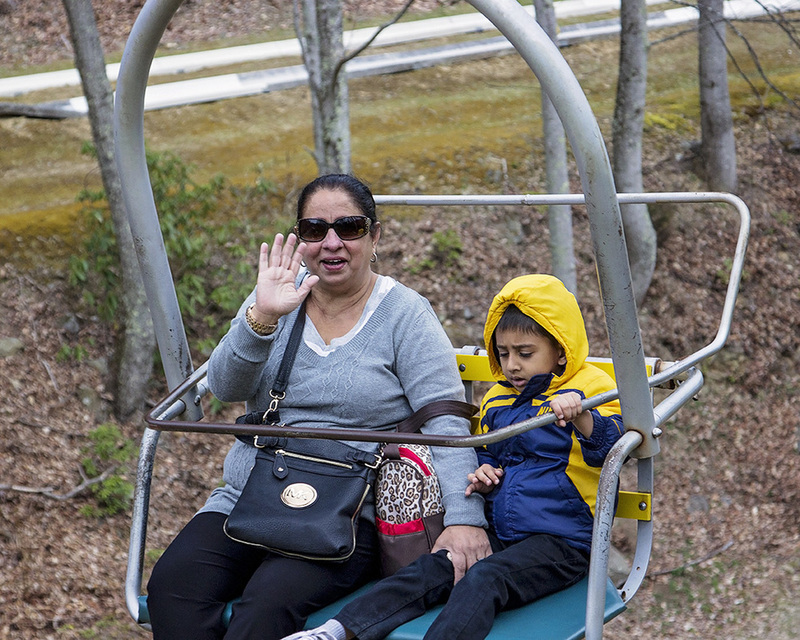 The chairlift takes you to the Alpine slide, with 1800' of tracks that maneuver through the woods and ski trails. 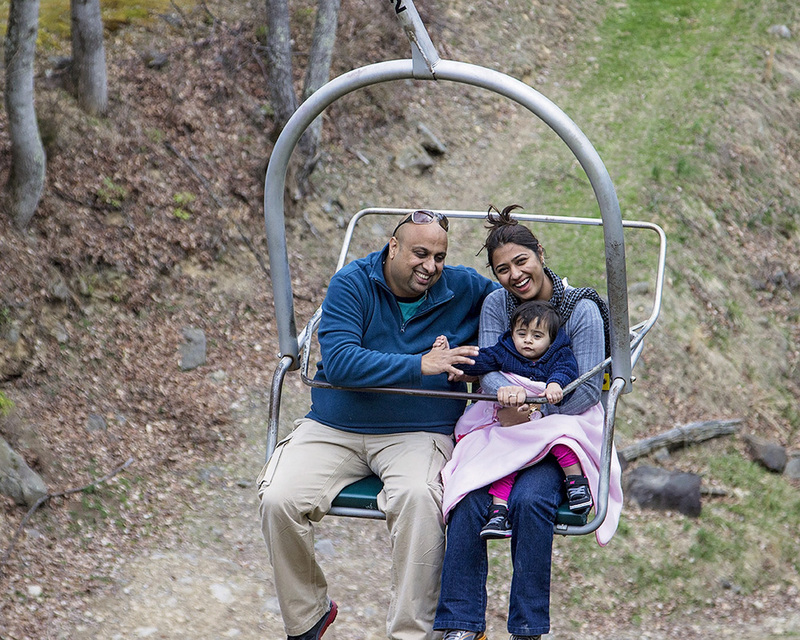 Our suggestion, take the chairlift at night and enjoy the light show! 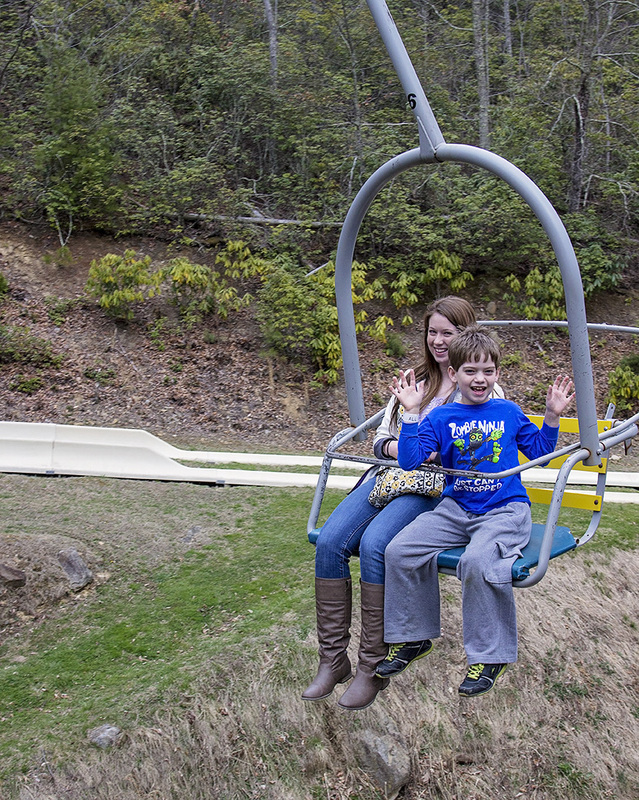 Snow tubing is only the beginning of cold feet! Need a little help with the gadgets and boards and skis? There's ski classes for adults and children; don't forget the snowboard class, too. If you're a first time skier, a lesson is mandatory. Need private lessons? They offer those, too. If you're like me and want a little more stability - try snow tubing. The tubes swish down the snow tube course five sessions (1.5 hours per session, unlimited runs) daily during the week, six sessions on the weekend. Most sessions sell out, so check ahead. Sorry, no reservations. Tickets are sold first come, first serve. There's even a Kids Snow Zone - just my speed. Skate year-round on the indoor ice rink. 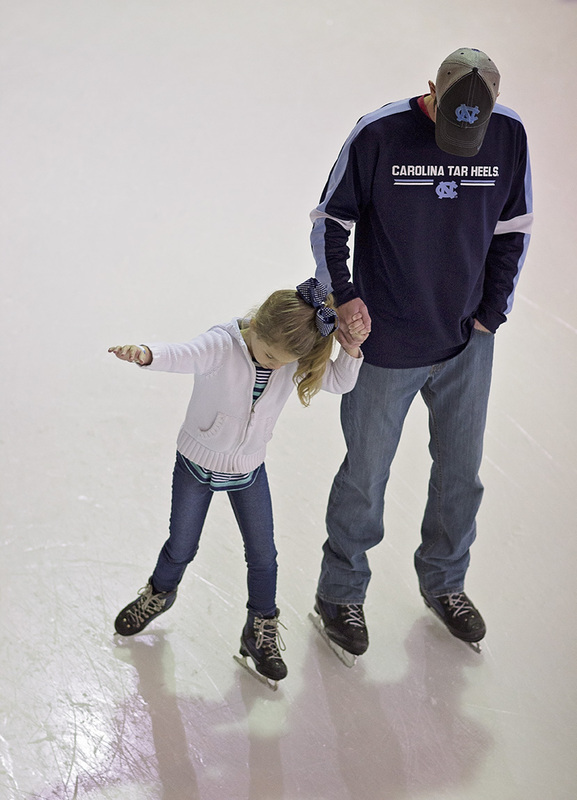 The cost is $9 for three hours on the ice including skate rental. More of a free spirit? 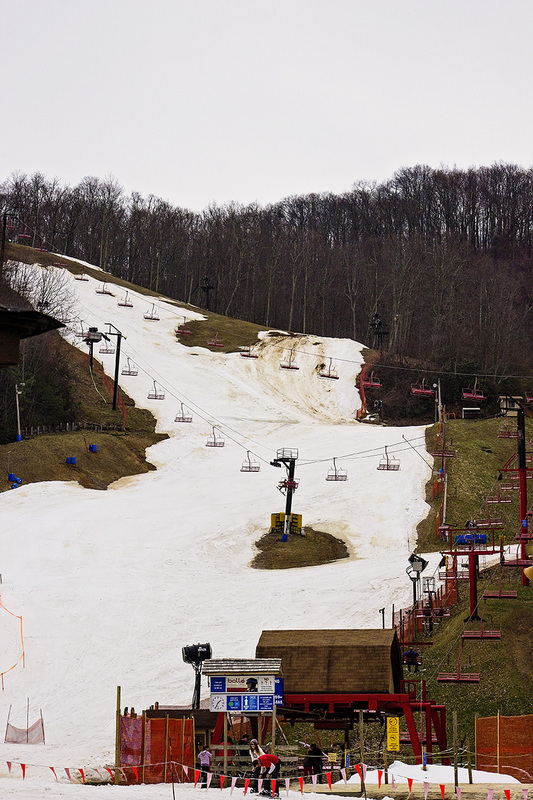 Check out the Freestyle Terrain park with five featured jumps. 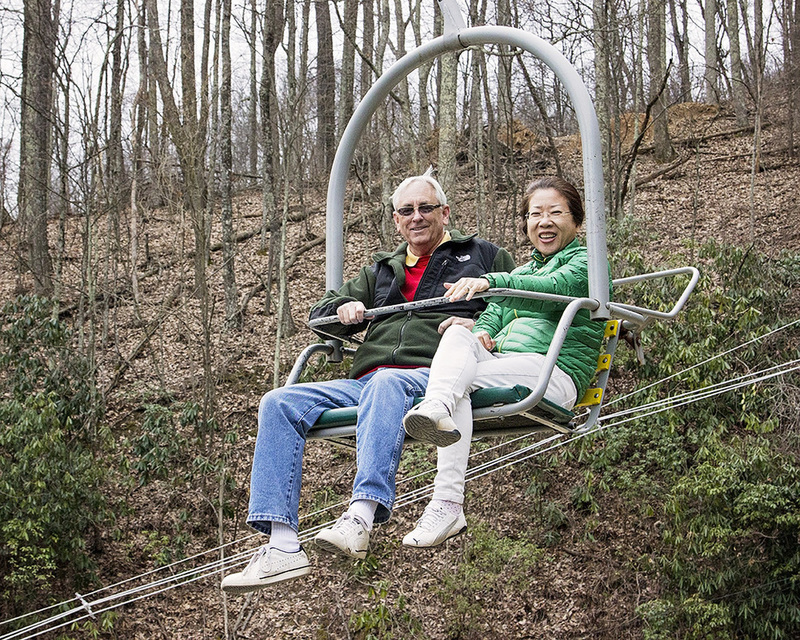 Gatlinburg Sky Lift takes you 1,800 feet to the top of Crockett Mountain. 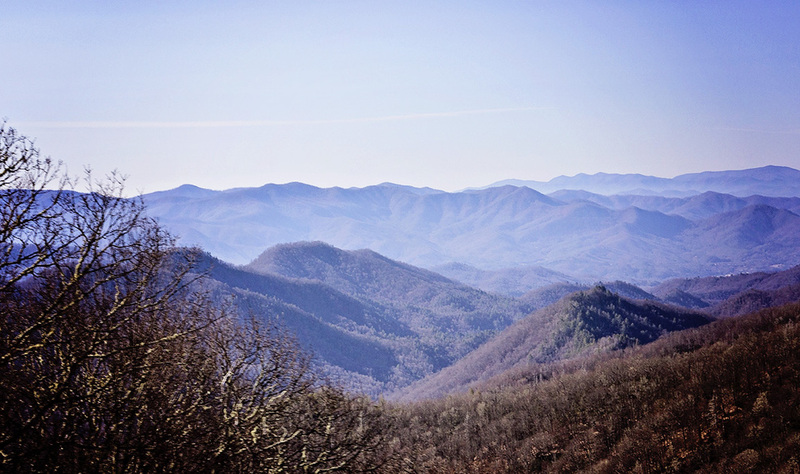 See Gatlinburg from a different perspective, and enjoy misty blue views of the Smoky Mountains. There's even a cup of hot chocolate waiting up top if it gets a little nippy. There's non-stop activity on the parkway . . .
just to name a few . 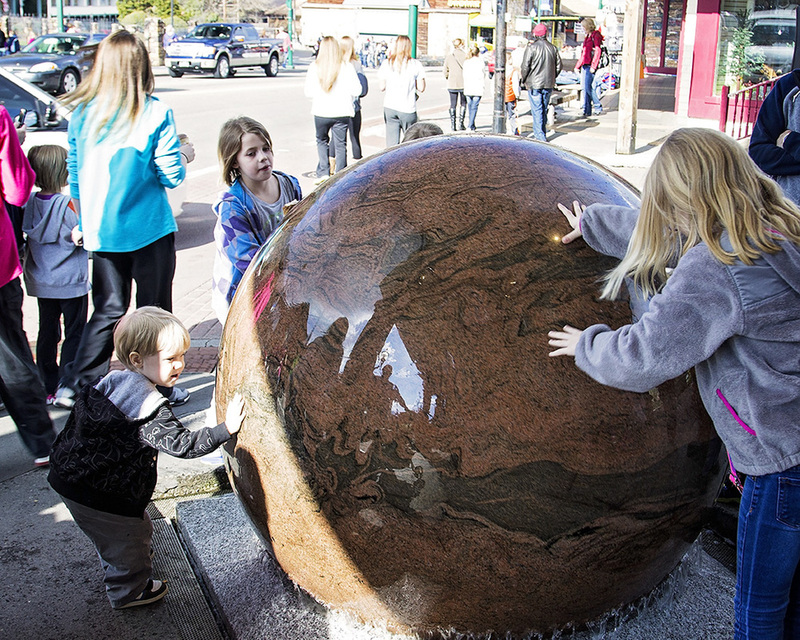 . .
Find more family attractions and adventures here. From the charming to the romantic, there's a place to lay your head. 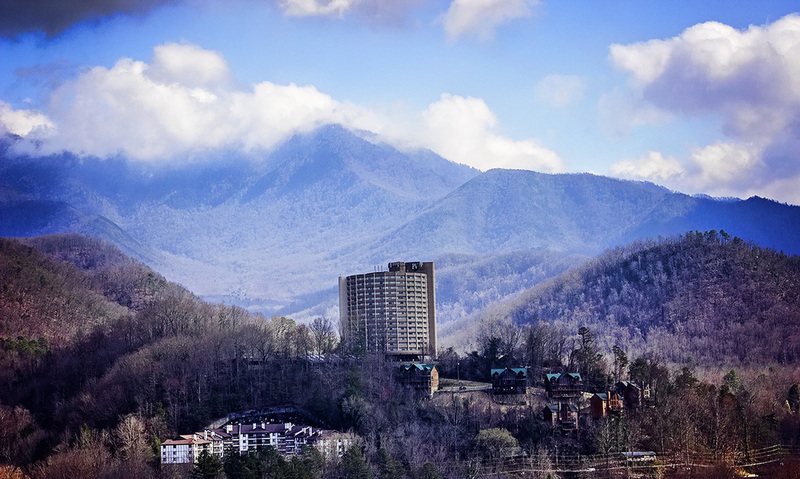 The Hampton Inn Gatlinburg is a great downtown location with easy access to shopping, entertainment, and the convention center; its next door to the Aerial Tram, too. Plus, spacious rooms with fireplaces! Want to be on top of it all? Climb toward The Park Vista , a newly renovated Doubletree brand where you can have a room with a city or mountain view. There are many B & B's, condos and homey cabins - and it's all up to your mood. Find a complete list here. 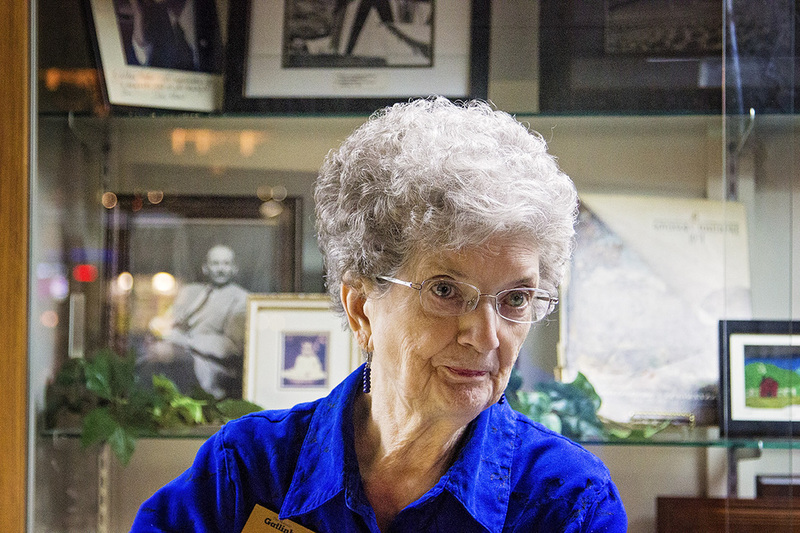 If nostalgia is what you crave, it's The Historic Gatlinburg Inn. Built in 1937, it was downtown before there was a downtown. 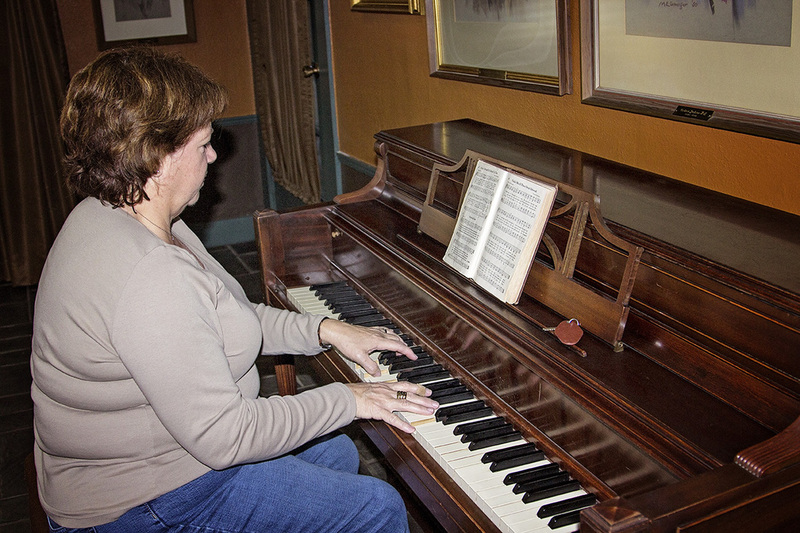 From Dinah Shore and Lady Bird Johnson to Liberace, visitors have slept in these beds and twinkled these ivories. 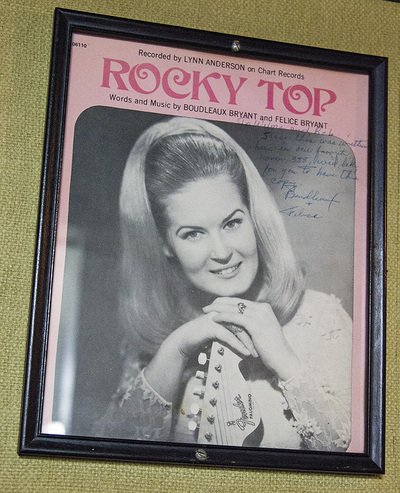 Even the University of Tennessee should sing its praises; it is here, in Room 388, that Boudleaux and Felice Bryant penned the words that had Tennesseans singing, "Rocky Top, you'll always be, home sweet home to me." 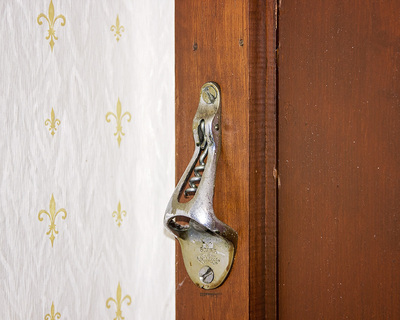 Originally a 12 room hotel, it has been increased to 70 and will be undergoing a small renovation in the near future. After all, they are the historic Gatlinburg Inn. Some things, you don't mess with. We'll introduce you to the people and history of the Inn in a later post. I grew up in Swainboro, Georgia - where there is seldom any snow. As soon as I discovered my call to the ministry, I knew it would not be music, and it would be in a role outside the walls of the traditional church. I have been director of Smoky Mountain Resort Ministries since 1981. I am a volunteer chaplain at Ober Gatlinburg. 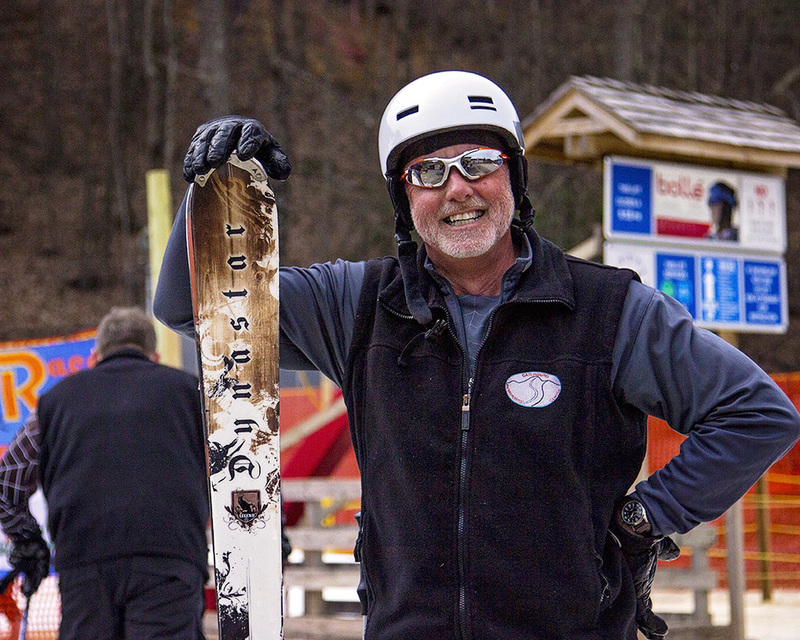 Smoky Mountain Resort Ministries volunteers and I provide worship services on the snow for visitors and employees such as the National Ski Patrol. We also provide worship opportunities for all employees as they arrive on Sunday - like hot donuts from Donut Friar, breakfast bars and fruit, and a written devotional they can take to their work station. I am at home in this role. Resort ministry is communicating the Gospel to people at play and to those who work in play settings. Ministry is about helping people where they hurt and where they hope. There is a need for a chaplain at a ski resort because people are there. We have a hope of enabling people to say "yes" to the saving love of Jesus Christ. I love the ski ministry. Tahoe Resort Ministries and Big Sky Resort Ministries are sister ministries to ours - with wonderful ski chaplains doing creative things. 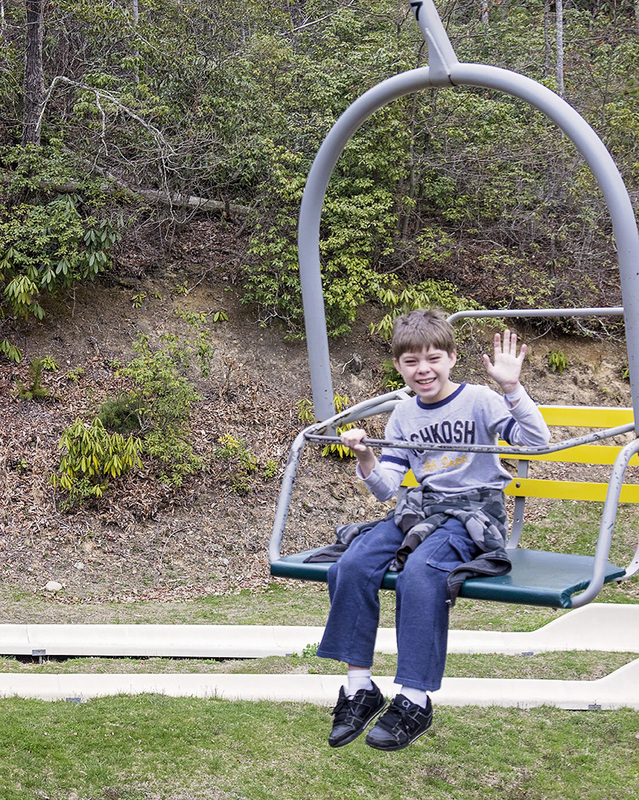 The opportunity to share God's love is wide open at a ski resort. I am a nationally certified ski instructor. One of my favorite games with my guests is to ask them to figure out what my "real life" job is. I drop hints as we discover balance and movement on skis. I always enjoy their realization that God is present in my life and in fun activities such as skiing. 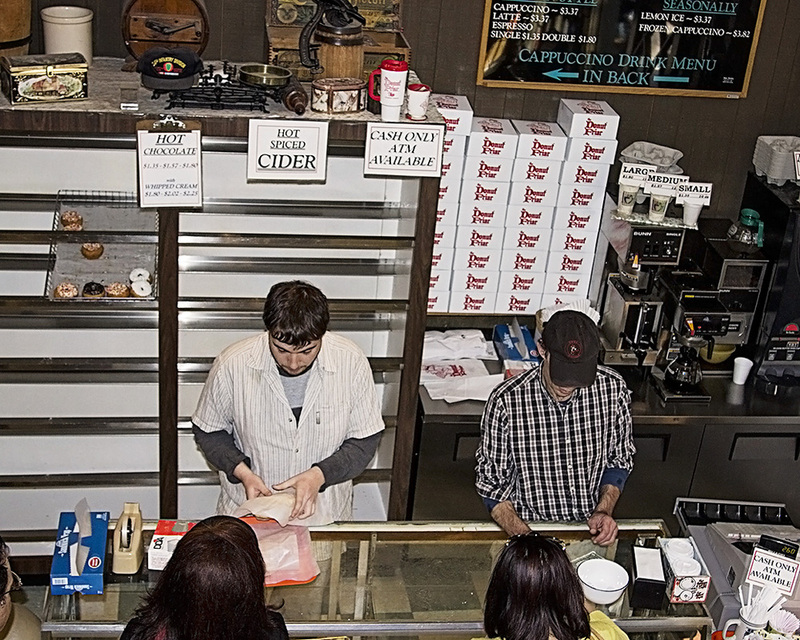 There is no off season in the Smokies. 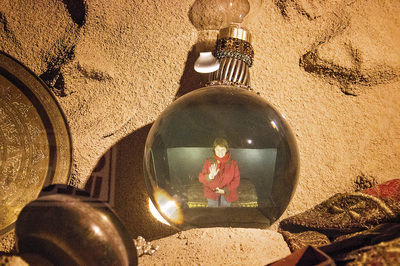 Gatlinburg and Pigeon forge are full year round. 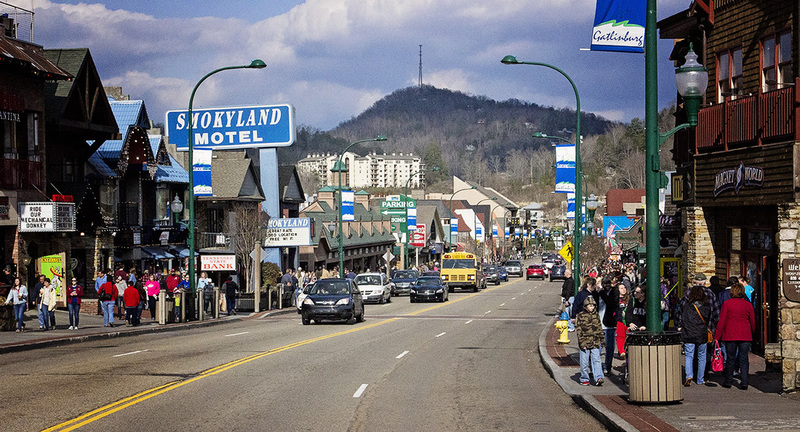 The Smoky Mountains are the most inviting aspect of Gatlinburg. Our mountains are soft, alluring, gentle and inviting. They draw you in and gift you with the quiet side of God's love. I always seek to keep myself balanced with God by spending time in the mountains. 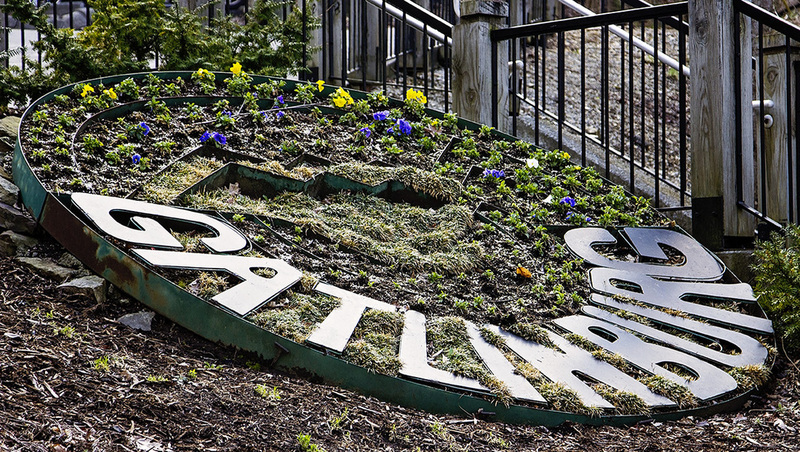 We hope you discover a little mountain magic in Gatlinburg. 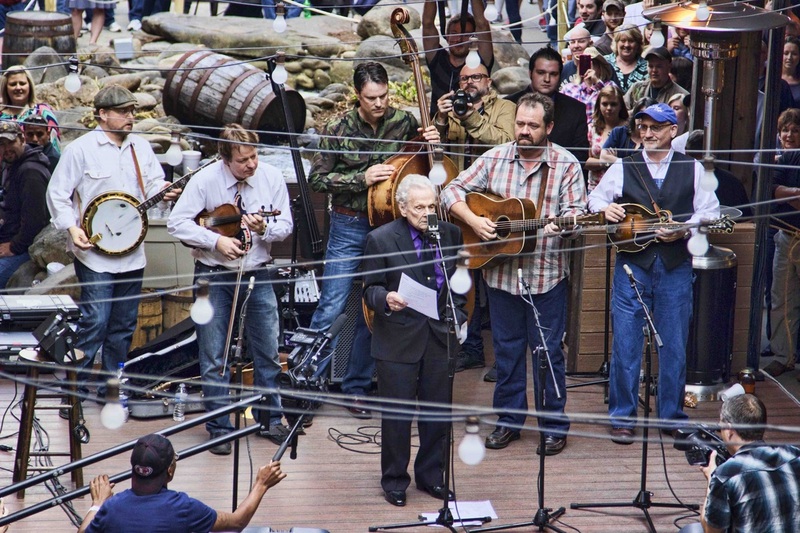 Seeing Southern will be back in the Gatlinburg area in June, just in time for the Synchronous Fireflies to make their appearance. One of at least 19 species that live in the Great Smoky Mountains, they are the only ones who can synchronize their flashing light patterns and they do so in early June. 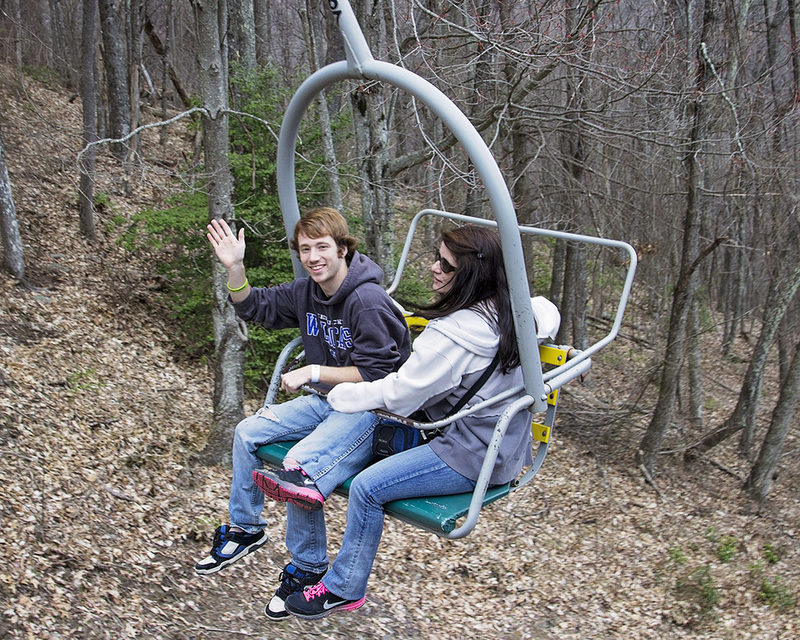 The Elkmont area has the highest population and that's where you'll find us. You must be prepared months in advance if you plan on catching the light show. The Park issues only 888 (advance) parking passes (that's 111 a day) during the 8 day period. You must have a reservation for parking and then you must ride the trolley for viewing. Want more information? Visit this site and see you in June. 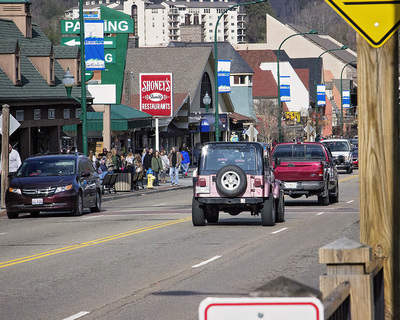 For more information on events taking place in Gatlinburg and its surrounding areas, visit gatlinburg.com .